Nobody ever thought anybody would have the audacity to make a sequel to the Titanic movie. It’s pretty clear that everyone already knows how the story ends, which doesn’t leave much room for a sequel. Despite these facts, movie company Asylum just finished post-production of Titanic 2. Known for their humorous approach to blockbuster films, Asylum has been creating knock offs of classic films and dubbed them “Knockbusters”. 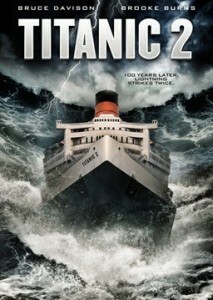 Asylum has just finished production and the Titanic II movie will star Brooke Burns and Bruce Davison. To get a better idea of what to expect from Titanic 2, there are some other films that were produced by Asylum: The Terminators, Street Racer, Sunday School Musical, Transmorphers, Snakes on a Train-you get the idea. Expect Titanic 2 to be an absolutely ludicrous knockbuster and nothing like the original film. The Titanic 2 movie will be released on August 24th straight to DVD and promises to be nothing like the original James Cameron movie. Titanic 2 was written and directed by Shane Van Dyke, and stars Bruce Davison, Shane Van Dyke, Brooke Burns, and Marie Westbrook. 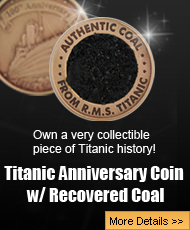 Look for Titanic 2 on August 24th wherever your latest knockbusters are sold.